Anglicans are the third largest group of Christians in the world (after the Roman Catholics and the Orthodox), but our ‘flavor’ remains a mystery to some. It also doesn’t help that some faulty ideas about Anglicanism are bandied about with some regularity – even by Anglicans! One of those faulty ideas is that Henry VIII, the scary, burly king, created the Protestant Church of England (the mother-ship of Anglicanism) because of a marital skirmish and his complex relationship with the then-reigning pope (for what it’s worth, Henry VIII wasn’t a convinced Protestant – he just wanted to have the power of the pope without being a pope). Another myth is that Anglicanism is a ‘via media’ (that is, a ‘middle way’) between Protestantism and Catholicism (this one is obviously untrue – check out the central tenants of Anglicanism, expressed within the 39 Articles of Religion or the Book of Common Prayer, which reflect Protestant convictions). The Anglican Church is far more interesting (and impressive!) than these myths suggest. 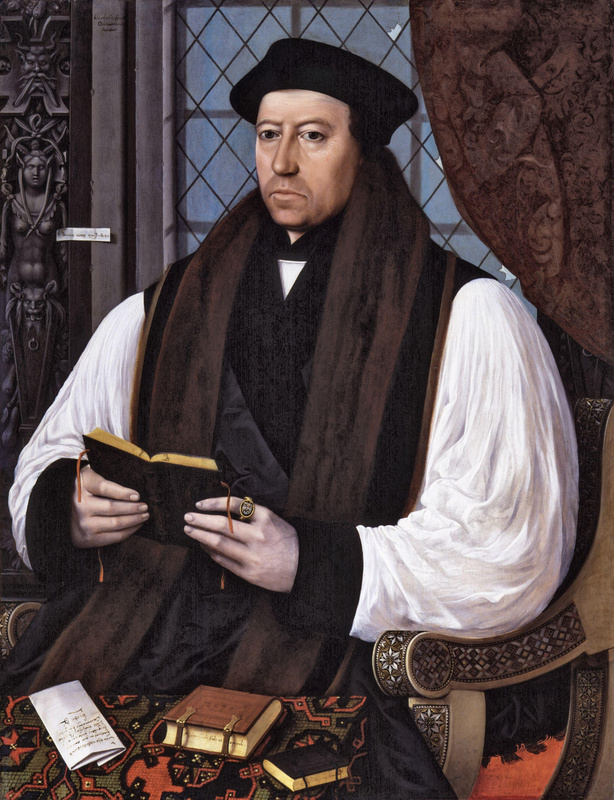 There are three words that helpfully express the heart of Anglicanism: Rooted, Reformational, and Roomy. ROOTED. Anglicans are deeply and intentionally rooted in Christian history. The Anglican Reformation did not throw away the entirety of the tradition which came before it; instead, our framers ‘reformed’ the already existing patterns of worship in the Church. Anglicans utilize ancient modes of worship (often called ‘liturgy’) and creeds. We use the Church Calendar (which includes holidays and seasons like Christmas, Epiphany, Lent, Easter, Pentecost) as it reminds us of different aspects of what God has done in Christ. In keeping with the pattern of the ancient Church, Anglicans retain the ‘3 orders’ of clergy – bishops (who oversee a geographical Diocese), presbyters (sometimes called ‘priests,’ who oversee a parish church), and deacons (who serve those in need within local congregations). Anglicans aren’t ‘romantic’ about church history or tradition (we don’t think either of them is infallible), but we do see these things as helpful and important. REFORMATIONAL. Anglicans are deeply shaped by the liberating insights of the Protestant Reformation. Our beliefs are best summarized in a document called the ‘39 Articles,’ which represents a hybrid of Lutheran and Reformed theology. Anglicans affirm the unique role and authority of Scripture as the place where special, redemptive revelation from God is found (we say ‘it contains all things necessary to salvation’). Anglicanism affirms that we are rescued by Christ alone, and this rescue is received by grace alone through faith alone. We believe in the imputed righteousness of Christ. We affirm the two biblical sacraments of Baptism and Communion. We affirm the centrality and efficacy of the Gospel message (that Christ died and rose again for sinners – that is, all of us). ROOMY. Anglicanism enjoys a marvelous degree of elasticity, both in worship and in less essential aspects of doctrine. In Anglicanism, you can find ‘high church’ folks (they look and sound somewhat Catholic), ‘low church’ folks (they look and sound fairly Protestant), and all sorts in between. So long as we affirm our ‘formularies’ (that is, those documents that bind us together and bind us to Truth — the Scriptures, the Articles of Religion, the (1662) Book of Common Prayer, etc), we can have certain disagreements and retain common cause. We share a common life with those who have different emphases, seeking to grow from the insights of others with whom we might sometimes disagree. Anglicans have a wide range of opinion regarding how to interpret the opening chapters of Genesis, we don’t fight over the ‘right’ understanding the Book of Revelation, and we don’t endlessly debate about particular gifts of the Holy Spirit. We appreciate a range of opinion under the authority of Scripture and within basic orthodoxy. We also appreciate the ‘Christian-ness’ of other denominations (Baptists, Pentecostals, Catholics, Lutherans, etc), and do not ‘de-church’ those with whom we disagree. We are intentionally ‘roomy.’ If someone abhors flexibility, they’ll probably abhor Anglicanism. But we affirm what Augustine once said: In essentials, Unity; in non-essentials, Liberty; in all things, Charity.